Check out Henley Festival’s Family Sunday this Summer! 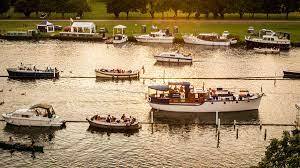 Henley Festival is back for 2018 and it promises to be bigger and better than ever! There’s going to be loads of amazing acts on like Mr Bloom, Funz and Gamez, Mr Danger’s Really Safe Show and loads more! As well as the acts there’ll loads of great activities too! Get lost in the Playground of Illusions, get some cool body glitter tattoos and grab some crazy balloon creations, Henley has it all! With headline acts including Rita Ora, Grace Jones, and Nile Rodgers, Henley has it all this summer! To check out the full line-up head over to the Henley Festival website! Click here to see the line-up! « Check out OPEN HOUSE at British Summer Time in Hyde Park!